WHAT: Loku [ @loku ] uses big data to give you the inside scoop on what the locals do while you're on vacation -- or in your own hometown. "Our approach, based on local language patterns instead of links, provides the most effective local results on the internet," CEO Dan Street told LAUNCH via email. LAUNCHERS: Dan Street, CEO and founder [ LinkedIn ] , Roger Castillo CTO and co-founder [ LinkedIn ], Raj Ramanan, president and co-founder [ LinkedIn ]. INSPIRATION: "We are a group of folks who grew up in small towns before moving away to pursue our passions," Street said. "In every place we lived, it was hard to feel at home, to feel like a local. We missed that feeling. 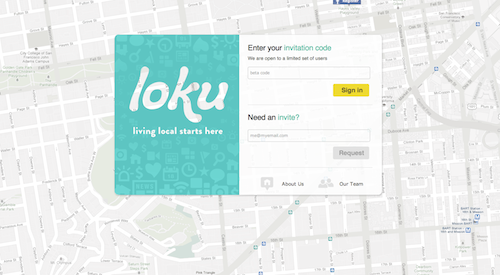 So we created Loku to help everyone feel like they belong." INVESTORS: Tom West [ LinkedIn ] , Rick Timmins, Bo Patel [ LinkedIn ], 500 Startups.